Attached is the menu for our AGM to be held at The Cavendish Arms Embsay on 23rd March 2017. 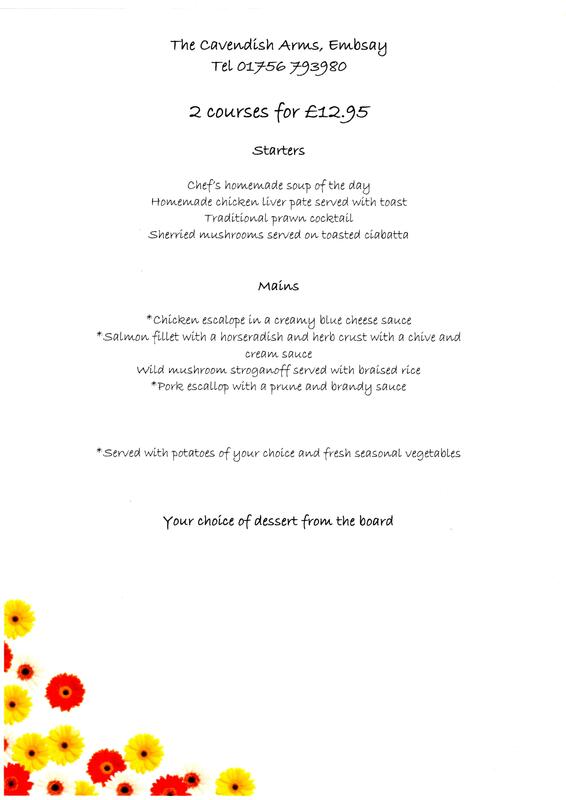 The price has been discounted to £7 with puddings, available from the board, payable on the night. Please let me know your starter and main choices as soon as possible as the landlord wants at least a week’s grace. Email me on – chadmac@blueyonder.co.uk – or telephone 01943 435141. Please make payment to a/c 30143768 sort code 30-98-97 making sure that we can identify your transfer.